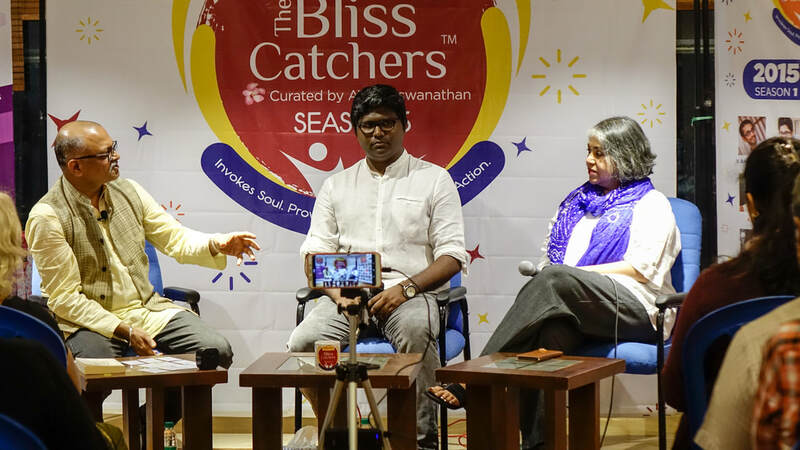 The February Edition of The Bliss Catchers @ Odyssey featured musicians Sunil Gargyan and Vedanth Bharadwaj. ​The event was held on Saturday, February 23, 2019. After 12 years of training in classical music, when Vedanth joined Rishi Valley School in his late teens, his music journey took a new turn. His room-mate there, Ananth Menon, introduced him to rock and other genres and taught him to play the guitar. This “awakening” experience, and his guru Ramamoorthy Rao’s inspirational coaching in Hindustani music, led to Vedanth’s decision not to pursue a corporate career despite holding Master’s degrees in psychology and management! Instead he followed his bliss, set up a music studio and “explored music that appealed to him”. Over the last 15 years, Vedanth has come to be identified only with his guitar, through his love for Kabir and for the passion with which he inducts children from less-privileged backgrounds into music. “My raison d’etre is music,” he declares emphatically. 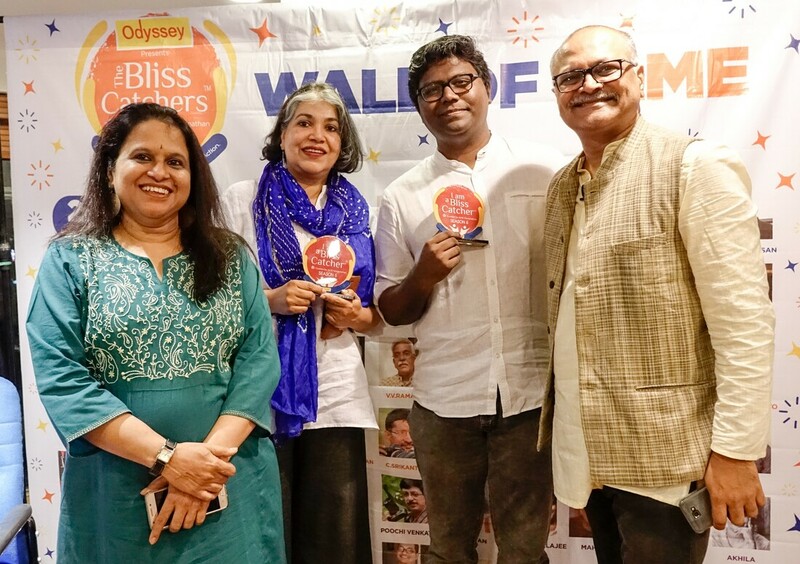 The January Edition of The Bliss Catchers @ Odyssey featured Anjali Venkat, Glass Artist and Dushyanth Gunasekhar, Creative Curator-Entrepreneur. ​The event was held on Saturday, January 26, 2019.